We have some absolutley BEAUTIFUL roses in our front yard!!! Oooooo I just LOOOOVE to go out front and take in their lovely scent!!! Buuuuuuut YOU JUST CAN'T do that with store bought roses!!! For some reason, store bought roses have no scent...which to me, makes them slightly less beautiful! Now don't get me wrong, They're STILL beautiful, just NOT AS BEAUTIFUL!!! I can't help but wonder WHY??? WHY don't store bought roses have a scent??? Are they FAKE??? Nope, they're not fake...they are REAL!!! Touch them, hold them, look at them...THEY ARE REAL ROSES...buuuuut...they have NO SCENT!!! Sooo, being the incredibly studious person that I am...I decided to do a research paper on the matter...AND...NOT...I googled it online...LOL...and according to GOOGLE the reason WHY store bought roses no longer have a scent is BECAUSE...over time the rose fragrance was bred out of them so that they could grow crop that would last longer! This really got me to thinking about us as Apostolic Christians!!! that I think that sometimes, we get SOOOO Apostolic looking, that we forget our scent. Don't get me wrong, we're REAL Apostolics, we believe Duetoronomy 6:4, ONE GOD, Jesus name baptism, we have NO DOUBT about our doctrine, we believe holiness through and through...buuuuuut somwhere a long the way, we either forgot or NEVER really discovered our Apostolic scent!!! OUR TESTIMONY!!! It doesn't matter if your 4th generation Apostolic, or if you were raised by a drug addict...We've ALL GOT A TESTIMONY and we need to know it!!! When I was a baby I was sprinkled in baptism by a Catholic priest, the titles father, son, and Holy Spirit called over me....buuuuuuut I THANK GOD...that there was a man with a burden for NYC that brought THE TRUTH to my Momma!!! AND when I was 6-years-old, I was filled with the baptism of the Holy Ghost, and REBAPTIZED in immersion of water, IN THE NAME OF JESUS CHRIST!!! Just like the Bible says in Acts 2!!! Thats my scent!!! Thats my aroma!!! And I don't ever want to stop smelling of it!!! I hope, that I don't ever become SOOOOO APOSTOLIC, that my Apostolic scent is bred out of me!!! I want my [future] children to one day know, they may have been born into this, BUT THEY were born SINNERS...destined to hell...BUUUUT... Jesus died for their sins!!! God did something for them!!! And THEY HAVE A TESTIMONY!!! We've all got a testimony and when we know our testimony and we share our testimony, thats when we go from just being JUST a rose to being a scented rose. Not only are we different on the inside and on the outside, but there is a savor, a smell that comes off of us. People will want to be around us more than others, simply because we can't shutup about the Goodness of God!!! Are you JUST A ROSE??? OR are you a SCENTED ROSE??? All I ever wanted in life was to be loved. Yes I had a family, but they never really showed me love. They were never really there for me. Two years ago you wouldn’t even recognize me. I was homeless, addicted to meth and I had lost my 2-year-old son for the third time. I went to my family for help, but when I knocked on their doors I was told I was not wanted or welcomed. To feel like you’re not EVEN worth helping is one of the worst feelings you could ever feel. One night on the streets I cried out to the Lord. Not even knowing God or if he would even listen, I asked him to change my life, to help me get my son back, to help me to get off drugs, off the streets!!! Without even realizing, God was working in my life. About year and a half later I found myself at a Pentecostal Church. He picked me up from the gutter. 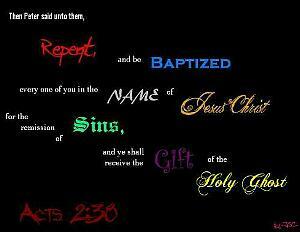 Baptized me in Jesus name. He gave me a clean, white robe. He took all the dirt and shame and washed it away. He filled me with the Holy Ghost and turned every bad thing to good. God knew how bad I wanted a real family and to have people see the real me and really love me. God gave me a church family at North Valley Pentecostal Church. They really care about me, and what’s going on in my life. They want to help me and do not judge me for my past or hold it against me when I mess up. They welcome me with open arms and love in their eyes for their sister. I can’t put into words how this makes me feel. I have everything my heart has ever wanted. God gave it all to me and all I had to do was knock. This time when I knocked, the door was opened and I was welcomed in. The Bible says, “Ask, and it shall be given you; seek, and ye shall find; knock, and it shall be opened unto you.” (Matthew 7: 7) To know that God has been waiting for me to come to him, to think that he would pick me to come to him, to give me a second chance, to look in my heart and see a good person worth saving, that astounds me. I think what could I ever do to pay him back for what he has done for me? All I can do is get to know him, talk to him, tell him everything, have a relationship with him, strive to always walk in his steps and love him. I always thought that things, like having my own home and a husband would make me happy. However, every possession I own right now is in five mismatched suitcases from Savers, sitting in a borrowed room, yet I have never, in all my life been happier, than I am right now. Because I finally have what I’ve always wanted in life… LOVE! I REMEMBER the first time someone told me I had pretty nails. It was during a P.E. class at Desert Arroyo Middle School. Standing in line to hit the soft ball. "Oh MY GOODNESS!" She exclaimed. "Is that a french manicure?!" I am like "HUH?! A WHAT?!?!" "Did you get a manicure?" she asks again? "So those are your NATURAUL nails?!?!" She asks in awe. I think about this for a moment, not to sure what to say. I NEVER cut my nails. I NEVER file my nails. I NEVER clean my nails. I NEVER bite my nails. I NEVER, EVEN think about my nails. I wasn't even think I know what a manicure was. "Oh wow!" She says. "I have ALWAYS wanted a French manicure!!!" on something I could care less about!!! "Wow! you have SUCH pretty nails!" "Such a perfect pink sheen!" AS IF I CARE about my nails!!! Compliment me on my hair! Compliment me on my eyes! Do you spend a lot of time on them? How often do you file them? Is there a special vitamin? WHAT do you do to get them like that?!?!?! AND THE ANSWER WAS SIMPLE!!! They break perfectly even across. And I NEVER thought twice about them! My heart started beating faster! I FAINTED a million times, INSIDE!!! "Oh, thanks," I said CASUALLY! I went with my friends to the mall!!! They were looking at clothes for a youth conference. I was shopping for the PERFECT nail buffer. I mean who cares about new clothes, WHEN you have pretty nails?!?! "He said I have pretty nails," I said sighing. "Oh brother!" said one of my friends. "We've ALL told you that before!" "Yeah, EVERYONE tells you that!" "Yes, I said, but YOU ALL are girls!" My brothers say they are gross, they call me "Claws"
BUT HE SAID they are pretty!!! *SIGH!!! I became VAIN about them. OMW!!! I EVEN kIsSeD THEM!!! God is trying to teach me a lesson. "Clip it!" said my brothers!!! "It looks WEIRD!!!" I pulled out my buffer. Gone is the beautiful elegance. Gone are the looks of admiration. In their place is short, stubby little nails. AND you know what I'm gonna do about that?!?! "Ok I'm it!" Says the seeker, "Everyone go hide!" You scurry around frantically searching for the best hiding spot as the seeker begins to count. "1,2,3,4,5,6,7,8,9,10... Oh where should you go? Under the table? In the bathtub? Behind the cupboard? " 16, 17, 18,19, 20, Ready or NOT here I come!" Oh no, times up, the seeker is coming and you still haven't found your hiding spot! Where should you go? Quick you cover yourself up in mom's clean laundry and hope that the seeker won't notice that the pile is moving rythmatically with your breathing. Ah the good old days as a child, I have such fond memories! Do you remember playing hide and seek as a kid?! I LOOOOOOVED playing that game...ACTUALLY I still do!!! One thing that I realize now looking back, is that there were always TWO kinds of hiders. First and most common amongst the hiders were the people like ME. I was that person that you could spot out a MILE away because I didn't quite fit into my hiding spot and there was always either a leg or arm left sticking out of my hiding spot. Or IF I was actually hidden all the way and covered where no one could see me, when the seeker would walk by me WITHOUT seeing me, a giggle would almost ALWAYS accidentally escape out of me, immediatly LETTING them know EXACTLEY where I was! OR if I did manage to stay hidden really well, and I was completely hidden, and I managed to stay quiet, after about 20 minutes of hiding and NOT being found I would grow IMPATIENT. I would get worried, I would wonder what happened? Did they forget about me? I couldn't take NOT being found, so I would come out of my hiding spot, hoping to be seen by the seeker, llike HELLO, look at me! Then I would make a run for it to base, but OF COURSE, I was NEVER a fast runner and always got CAUGHT before making it to base! ANNNNNND then there were the OTHER hiders! The hiders who were so slick, so quiet, so calm you hardly even hear them breathing and these hiders ALWAYS had THE BEST spots for hiding. These hiders didn't wait till the last minute to find their hiding spot. They had already scanned their surroundings and had their hiding spot all planned out. When it was time to hide they didn't hesitate, they didn't look around at the other hiders to see where they were doing, they didn't try to hide with the other hiders. It didn't matter to these hiders what everyone else was doing, they had a plan and they were determined to stick with it.These hiders never gave up and they NEVER came out from their hiding spot before they were found. It didn't matter HOW uncomfortable their hiding spot was, they were patient and they waited and waited and waited and WAITED, til FINALLY they were FOUND by the seeker!!!! These hiders WERE RARE, where as the GIGGLERS, like me, were ABUNDANT!!! However, there were ALSO two kinds of seekers, there were the seekers that after a little while of searching and NOT being able to find the hider they would throw their hands up in defeat and say OKAY, I give up, come out of your hiding spot and YOU WIN!!! OR there were the DETERMINED seekers!!! These seekers REFUSED to give up!!! They would tear apart every part of the house, closets, rooms, cuboards, drawers, they would look up down, inside, outside, on the roof, the chimmney, trash barrels, EVERYWHERE!!! They didn't care what they had to do, or what they had to put themself through, they were NOT going to give up, they were going to FIND that hider!!! They were JUST as patient and JUST as determined as that hider AND finally find them, and the SEEKER would say, there you are, I FOUND YOU!!! And the hider would just smugly say, "WELL ITS ABOUT TIME!!!" Isn't that a BEAUTIFUL quote?! I just LOVE IT!!! There are so many things that want to steal our hearts away. We can worry so much about the safety of our hearts and who we decide to love. Is he REALLY a good guy? Is he REALLY a man of God? There are so many what IFs in relationships, you want to guard your heart and keep it safe but are you strong enough? Is there ANY place that is truly safe enough? How do you know for sure? Christ, is the answer for where we should hide our hearts. Think about it ladies, Could there POSSIBLY be a better, safer MORE secure hiding place than IN JESUS??? I think NOT!!! The Bible says in Proverbs 31:10..."Who can find a virtuous woman? for her price is far above rubies." The word of God says, a truley VIRTUOUS woman is RARE and she is HARD to find!!! The Bible is LITERALLY asking WHO could possibley find her?! Meanwhile, concerning the man, the Bible says in Proverbs 18:22..."Whoso findeth a wife findeth a good thing, and obtaineth favour of the Lord. "Both of these scriptures in Proverbs refer to THE WOMAN being FOUND!!! Single ladies, imagine with me, your heart ACTUALLY being hidden in Christ! How could a woman possibly hide her heart in God? 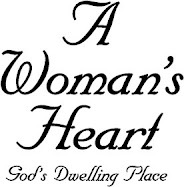 In my mind I see a woman's heart being so enraptured in God's spirit that it is literally hidden there in Him. Sheltered, sheilded, veiled, roofed, enclosed, guarded, embraced and binded in His presence. She covers it well in praise and worship to her saviour! Everytime she prays, God pulls her in a little bit bit more. She fasts and He tucks her under shadow of His wings. She pours her heart out to him humbly in a spirit of brokenness and God enfolds her a little closer. She submits and obeys to her God-given authorities and God's arm of protection tightens around her. She clothes herself in modest aparel, wrapping herself more into the seclusion of her hider. She holds about her a meek and quiet spirit, keeping from drawing attention to her hiding spot. Her face is covered with shamefacedness and sobriety. She is chaste in her ways, faithful to her seeker, wherever he is, she remains in her haven of Christ. Its NOT always easy for her to stay in her hiding place, sometimes she feels a awkward, sometimes she gets a little uncomfortable, sometimes she just wants to JUMP out and say, HELLLLOOOO...i'm RIGHT HERE!!! LOOK AT ME!!! Buuuut she doesn't do that! Instead she is patient, she trusts in the security of her hiding place and she waits and she waits and she WAITS!!! She is reassured of the protection that comes from her hiding place, because she knows that the one she is hiding in is looking out for what is best for her! Then, as she gives God her all, as she breaks her alabaster box and gives Him EVERYTHING she's got, God is pleased with her, she finds favor in his sight. As she continues to please Him, I like to imagine in my mind, that God, He just smiles to himself and says, This WOMAN is a GOOOOOD HIDER and its going to take ONE MIGHTY GOOD SEEKER, to FIND THIS ONE!!! Meanwhile, MAN, he is over there SEEKING God, for his hidden treasure, for WOMAN, for his WIFE. He doesn't go about his search by taking it into his own hands and doing things his way. He remembers what he was taught,"But seek ye first the kingdom of God, and his righteousness; and all these things shall be added unto you." (Matthew 6:33) So he begins his quest by searching for her daily in prayer! He looks through the whole entire Bible, he is tearing apart the alter in desperation to find her. He hopes that if he builds a high enough atler of praise and worship to God, that some way, some how he can climb to the top and catch sight of her. He offers sacrifices of Thanksgiving to God, hoping that he'll get a little closer to finding her! During his endeavor to find her, man makes a covennent to God with his eyes, vowing to put no evil before them. He resists temptation from false hiders, seeking for the one that is truly hidden in God! He stands for holiness, unchanging in what he believes, unmovable in his convictions, he takes direction and council from the spiritual leaders in his life advising and guiding him in his quest. When he is wrong he takes correction and chastisment well, redirecting his steps. He practices self-control, self-denial and treats all hiders carefully with respect, valueling all virtue with esteem and regard, willing to defend them as one would a sister. He is hardworking, consistent, steadfast and dependable to the work of The Lord. He is tough in upholding rightousness, but gentle in his regard towards others. Sometimes he stumbles while trying to find her, but he refuses to get stuck in the ruts and ditches of life. He continues on, magnifying The Word Of God to guide his way. He understands that, "The steps of a good man are ordered by the Lord: and he delighteth in his way." (Psalm 37:23) ANNNND Oh its sooooo hard, she has hidden herself so well...he can't seem to find her anywhere! He toils through hard times, refusing to get stuck in the ruts and ditches of life. When he trips, when he falls, he pulls himself back up, He doesn't halter his journey wallowing in self pitty. He doesn't explore different routes or new ideas, he stays on the strait and narrow path abstaining from pit stops along the way. He is dilligent in his labour towards God. There are times he just wants to throw his hands up in frustration and say FORGET IT God, I GIVE UP!!! She is TOO GOOD of a hider, there is NO WAY I could ever find her. Oh but NO, he doesn't do that, he may be feeling frustrated, BUUUUT he refuses to give up, because he is DETERMINED...because he is a soujourner on a journey, he has a goal, a destination, a made up mind, he won't be swayed by false hiders, HE MUST FIND HER!!! So instead he looks through the WHOLE ENTIRE BIBLE again. He studies to show himself approved before God. He examines his heart daily to see if there is anything that would stand in the way between him and God. Man begins to get closer to finding her. He can't see her, but he can hear her breathing, he knows she is right there, so he prays for God open his eyes and let him see her, to reveal his will to him. He searches a little deeper in God by adding fasting to his prayer, and as he seeks God for her in fasting, his carnal flesh begins to die and humbly in a spirit of brokeness, he cries out to The Lord in desperation and begs God to help him find his wife. And as man prays, and seeks, God approves of his ways. And the more man prays, and the more he cries and the more he breaks before God, THE CLOSER MAN gets to God, and THE CLOSER man gets to God, THE CLOSER man gets to finding her, BECAUSE she is HIDDEN in GOD! Then ONE DAY man gets SOOOO CLOSE TO GOD it happens, he SEES HER...HIS WIFE!!! He can't believe it, she is right there, RIGHT IN FRONT OF HIM and she is lovely, her countanence is BEAUTIFUL, she is womanly, feminine, everything he could have ever hoped for. He knows he must DECLARE it, he must claim his treasure. "Thats it, he says, "I FOUND YOU! Your everything I've been looking for, I WON! YOUR MINE!!! And woman, she just smiles sweetly and says, "You FINALLY found me! I've been RIGHT here, WAITING patiently for YOU this whole entire time!" And MAN, he just smiles endearingly at her and says, "well, your ONE GOOD hider Woman, and you found yourself ONE good hiding spot!" "Honestly, says Woman, "it wasn't always easy. "Sometimes I wondered if you would EVER see me, "there were times I so badly wanted to come out of hiding," she says, "but I knew, that God would keep me if I just trusted in him, I knew that I must stay!" Man says, "I'm so proud of you for hiding so well, I am very pleased that you waited for me. She smiles at man adoringly and says, "I knew that the RIGHT seeker would be determined and the RIGHT seeker would search my hiding place till he found me, and the RIGHT seeker would obtain favor from my hider allowing him to see me when he chose to allow it." Then Man, he says, "but you know, it feels so good right here, right where I found you," then he takes her hand in his and says, "I say we construct a memorial here so that we never forget where we found each other. Then I say we just stay right here where I found you, and build a life here, TOGETHER in Christ." So Man and Woman, they become husband and wife! They made and alter to God in their home, and they lived, JOYFULLY ever after, serving Christ together till their dying day. ANNNND that my friends IS the kind of HIDE AND SEEK game that I am talking about!!! Can you think of anything sweeter? Anything BETTER??? ANYTHING more ROMANTIC??? That's the kind of love story I want to have!!!! I may have been the EASIEST person to find in hide and seek as a child, but as a woman of God, I want to be a good hider! Ladies, we've got to hide our hearts in God! Think about the safety and protection we have by doing so! What kind of a man would search God for the heart of a woman?! It wouldn't be just any kind of man. I think sometimes us females try to take things into our own hands. We do our own seeking instead of hiding. We try playing foolish and immature games that toy with the hearts of seekers. We try to draw attention to ourselves that will lure in seekers. We're practically screaming, "Pick ME! I'm right here! LOOK at me!!!" We get sooooo anxious, we get sooooo DESPERATE!!! We find ourselves jumping up and down waving our arms trying to get the seekers attention! We don't need to be like that!!! We NEED to hide ourselves in JESUS!!! We NEED to entrust our hearts in the safety of Christ our protector! When I was in my mid-teens, my pastor at the time, now Bishop of our church, told us girls that we basically had the easy part in the relationship process. He told us that basically all we needed to do was to just WAIT. NONE of us girls liked hearing that at the moment, and although its taken me about 15 years to comprehend and get revelation of his words, i'm FINALLY understanding what he was trying to teach us. Just trust in God for the SEEKER to FIND YOU!!! When your hiding, you start clearing out the numbers on your phone, your email list, you start shutting things out of your life that allow the seekers to have effortless accesibility to conversing with you. You refrain yourself from getting too close to the opposite gender. If they want to talk to you, text you, email you, write you, they'll have get approval, seek permission from someone that is over you. Don't take as long as ME, for the light bulb to turn on, discover RIGHT NOW, to entrust yourself to God. Just hide your heart in Christ, then rest there in His safety. Perhaps your thinking about how your going to lesson your chances with finding a mate even more. May I tell you something I discovered, I realized that ALL those things that I was holding on to, that I THOUGHT would increase my chances at finding a mate, weren't working in my benefit anyways. God made the heaven and the earth from out of NOTHING, he doesn't NEED a social-networking sight or ANY of mans inventions to give you a spouse.The things that we think are helping us can in actuality be hindrances in our lives, we just got to let go, and LET GOD!!! What can we do while we're waiting? We can cover ourselves a little bit more in prayer! We can let God pull us in a little bit closer, blanketing our hearts in His care, swaddling us in a love that will never disappoint us. Ladies you don't want you don't want a lazy seeker. You want someone with some tenacity and determination. Wait for the one that gets close enough to God that he can see your hidden heart! There are some hiders, that are so easy to be found. Its not saying that they're BAD, but they never learned hide their hearts the way they should have. They didn't delve themself fully and completely into the things of God, they're still trying to do things on their own. God wants you to have so much MORE than a marriage that just, "Works out!" God wants you to have a work together serving him. What better way to find your life companion than in God. If you find each other, IN CHRIST, you'll live your lives right there together in Him. We've got to tell ourselves that NOT just any old seeker is gonna find us! The man that FINDS us is gonna have to work hard at finding us...Our hearts are HIDDEN, we're NOT going to come out of our hiding spot, if he wants us he'll have to keep getting closer to God! Tell yourself that, Man can't just have ME...IF he wants ME... HE IS GOING TO HAVE TO GO THROUGH CHRIST to get ME!!! Who's READY to play??? Hiders REMEMBER to stay hidden! No matter how uncomfortable or awkward you may feel, don't come out!!! God's not gonna let any old seeker find your heart IF its hidden in him...soooo Be patient and WAIT!!! The right seeker won't give up, he'll know your worth the search! I earnestly believe that finding the will of God for our lives is such an important thing! Marriage can NOT be taken lightly! Aside from choosing to live for God, MARRIAGE is the most important decision we'll ever make!!! Get ready HIDERS, its time to PRAY, fast, read your Bibles and PRAY SOME MORE!!! 1,2, 3, 4, 5, 6, 7,8, 9, 10...LETS PLAY HIDE AND SEEK!!! “I wanted her,” says 31-year-old Theresa Ginty. “She basically just laughed in my face,” says Theresa. It happened at Conqueror’s Conference, a church youth convention. Theresa was about 24-years-old at the time. She found herself feeling somewhat frustrated with where her life was headed at the time: single, without a prospect for marriage in sight, the oldest amongst her youth group, and no clear direction for her future. She remembers that during one of the day services of the conference, Bro. Rod Foster preached a message about having patience and waiting on God. When the sermon was over and the altar call was made, she remembers going up front to pray. As she was sitting on one of the front pews, everyone was singing, “If You Can Use Anything Lord, You Can Use Me.” She felt like God told her that He had a special plan for her life and that she just needed to be patient and wait. It wasn’t like she heard an audible voice or anything; she just felt like God impressed it upon her mind. Before altar call was over that day, she prayed to God, “If that really was You telling me that You have a plan for my life, would You please give me some sort of sign to confirm what I think You are telling me?” When prayer time was over, she got up and went on with the rest of the day, not thinking again about her prayer to God. That night after another service and another altar call, she says she remembers sitting on one of the pews towards the front of the church when Bro. Foster, the preacher from the morning service, came over to her and started to talk to her. He said that he didn’t do this sort of thing very often, but he felt like God had given him a message specifically for her. He said, “I feel like God has told me that He has a very special plan for your life, and you just need to wait and be patient.” Theresa was very surprised by his words. They were almost the exact words that she felt God had impressed upon her that very morning. So overwhelmed by the confirmation of God’s message to her, she didn’t say anything back to the preacher; she just sat there and cried. 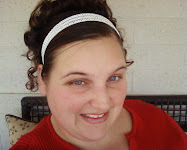 At the time, Theresa says she just assumed that the message of God’s special plan for her was concerning finding a husband; but now, several years later, as this case manager laughed in her face at her request to adopt Marry Joe, Theresa knew that Marry Joe was the promise that God had given to her! Marry Joe was born with a disease called PKU. It is a very rare disease that every child is tested for at birth. The best way to describe PKU is that it is an extreme allergy to protein. People with PKU cannot eat any meat at all and require a complete vegetarian diet. Because most food has at least some trace of protein in it, all food intake must be measured, calculated and recorded. PKU patients also have a special type of dietary formula that they must drink daily- it is filled with the proper nutrients and can be compared to a daily required medicinal prescription. If the PKU diet is not followed properly, the excess intake of protein will destroy brain cells and, over a process of time, lead to mental retardation. Although Marry Joe’s birthparents were not mean or physically abusive to her, due to lack of education and ignorance, they were unable to understand and implement Marry Joe’s dietary restrictions. The PKU diet was not being followed. Because her medical needs were not being met, at one and a half years old, Marry Joe was taken out of her home by Child Protective Services and placed into a foster home. This is where Theresa met her for the first time. Theresa was a respite care provider for a mentally handicapped young man that also lived in Marry Joe’s foster home. She was also an aide in his special needs classroom at Pinnacle High School. She had gotten to know the foster family through her work at the school, and, as a result, began a second job working in their home to take care of this young man. Over the years, this family had taken in quite a few foster kids into their home. Although Theresa was a friend of the family and worked in the home, it wasn’t long before she began to realize that things just weren’t ‘right’ in this home. They had an adopted-from-birth son. He had grown up in this two-parent home, yet he had so many emotional issues and absolutely hated his adoptive dad. The couple had another adopted daughter, who also grew up in the home- she was on drugs and uncontrollable. Theresa began to see that almost every child in this home was unhappy. Every child that had grown up there, whether adopted or in foster care, had turned out messed up. Even as a toddler, Marry Joe was already following in the footsteps of everyone else in the home. Although Theresa never saw or witnessed any physical abuse, it was very obvious to her that the home lacked peace and love. The foster kids were just a job, a paycheck in the mail, a way to pay the bills. To think that Marry Joe would have to live her whole life in that home was completely unfathomable for Theresa. Theresa began researching what one needed to do in order to adopt a child who was a ward of the State of Arizona. She found out that you had to take classes and become adoption certified. The classes would cost $800 dollars. With no guarantee of what would happen, Theresa laid out the money, and immediately signed up for classes to begin the process of becoming adoption certified. 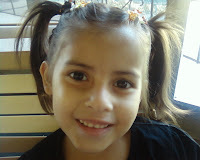 Theresa says that when she would tell people about this little girl that was in the home where she worked, and that she wanted to adopt her, she could tell they didn’t really believe it would happen. They just looked at her with platonic smiles, nodded their heads, and stood with body language that stated, “Yeah. Sure. Whatever.” Even the Adoption Class teacher at the Christian Care Agency told Theresa that more than likely it would never happen. They could find her a child to adopt, but it probably wouldn’t be Marry Joe. In the meantime, while Theresa was getting herself adoption certified, she continued doing respite care for the family. She said she hated her job there. The house was disgusting. It smelled of animals, urine, and cigarettes. The television was always blaring, and it was rarely with cartoons, but with crazy Jerry Springer-like talk shows or horror movies. Also, Theresa said there was something just odd about the dad. He was never mean or rude to her and never did anything to make her feel uncomfortable; she simply felt something odd about him. She could never really place her finger on what it was. Despite the bad circumstances of the home, Theresa felt that she couldn’t quit her job there. She couldn’t lose sight of Marry Joe, and so she continued working there. Theresa said that whenever she was at the house to watch the young man from her classroom at school, all the other kids were almost always in their bedrooms. She said she figured out that the typical weekend routine for Marry Joe and her foster sister was like this- they would get out of their rooms in the morning for breakfast, stay out for maybe an hour or so, and then they were back in their rooms. They would get out again for lunch, and after lunch it was nap time. Later, they got out for dinner. Dinner was followed by baths. Bedtime was usually 5:30 p.m. They would then be in their rooms until 9a.m. the following day. This routine only changed for school and doctor appointments. Once Marry Joe wanted to see Theresa, she says it was like the foster mom became even more determined for her to see her as little as possible. Sometimes Theresa would feel like it was just too hard of a situation, things were just too complicated and it would never work out. When Theresa would tell her own mom that she was ready to give up, her mom was adamant about her pushing on. She says her mom would tell her, “You can’t give up! You have to keep trying! Just think about Marry Joe. She is stuck in that home until she is 18. You can’t let that happen to her! You have to get her out, Theresa! You can’t give up! Just think of her calling out for you! Think of her little hands reaching out to you under the door! You have to get her! She needs you! You have to fight for her, Theresa! You have to fight for her!” Theresa said that her mom’s words would push her to keep trying. Since the foster mom was determined for Theresa and Marry Joe to see as little of each other as possible, Theresa came up with a plan. Marry Joe’s bedroom was connected to a bathroom that was also accessible from the main hallway. When the foster parents were outside, and she thought it was safe, Theresa would go into the bathroom, open the door to Marry Joe’s room and motion for her to come over. When she came over, Theresa would hug her and give her little packs of Smarties candies, which she knew Marry Joe was allowed to have on her diet. She would tell Marry Joe to hurry up and eat the candy and not to cry out for her or tell anyone about the treats- otherwise, she wouldn’t be able to see her anymore. While Theresa was taking the classes to get adoption certified, she also decided that she was going to become informed about PKU and understand the diet as much as possible. She was getting herself prepared for what she knew was going to happen. During this time, God worked a miracle! The church was having an outreach push to try and get new people coming to the church. It was pretty much a contest to see who could bring the most people to church over a three month time period. It was cowboy themed and called “Fall Round Up.” Theresa decided that she was going to approach the foster mom about letting her bring Marry Joe and her older foster sister to church. Theresa said she “really, really, really” wanted to win this contest at her church and surprisingly the foster mom agreed to let her take them. Marry Joe and her older, special needs foster sister began attending church on Sunday mornings with Theresa. Theresa and her younger sister, Mary, began going to the house every Sunday morning before church to get the girls dressed and ready for church. Marry Joe liked going to church with Theresa and was always eager to get ready and leave the house. Yet, she still showed very little emotion. While Theresa was driving to church, her sister would turn around from the passenger seat in the front and try to talk to Marry Joe. “Heeeey, Marry Joe!” She wouldn’t even look up. “My name is Mary, too!” She just continued to stare blankly; she was very good at ignoring people. “We’re both Marys! Isn’t that soooo cool? I’m Mary, and you’re Mary, too!” Finally Marry Joe would respond with, “Mmmmmm,” and give an attitude kick of her leg towards Mary. She had absolutely no idea how to respond to love, even though it was apparent that she wanted and needed it so much in her life. Every time Theresa would bring Marry Joe back from church, the dread of once again leaving Marry Joe in that horrible house would increase. At Easter, Theresa gave Marry Joe a little stuffed bunny. One day the foster mom told Theresa that Marry Joe had been playing the bunny singing all through the night. Over and over, she would push in on the tummy and make it sing. The foster mom told Theresa that she was sick of hearing it; she was ready to just take the bunny and throw it away. Theresa says she found comfort in knowing that in the middle of the night when Marry Joe was alone, locked in the room, she was hearing, “Jesus loves me. Jesus loves me. Jesus loves me,” over and over and over again. Theresa says that she tried so many different ways to get Marry Joe out of the home. She said she would place numerous anonymous calls to Child Protective Services. CPS always said the same thing: unless there was actual, physical proof or evidence of some sort of abuse, there was nothing they could do. The foster family really liked Theresa. They never suspected that Theresa was very leery of them and that she wanted to get Marry Joe out. They soon began having Theresa stay at the house with all the foster kids when they went out of town for family vacations. Theresa always brought her sister, Mary, with her to stay at the house, too. “There was no way I was staying in that house by myself!” says Theresa. She was always very adamant that she could feel evil in the home. Even Mary, Theresa’s sister, who was usually not as spooked by stuff, would not walk down the hall alone at night. While Theresa and her sister were staying with the kids, they would search the house. Theresa says that she always had this feeling that the family was involved in something illegal or illicit with the children. She and her sister would search the computers, the closets, under the beds, in boxes, cabinets, anywhere and everywhere, trying to find some sort of evidence that would help them to be able to get Marry Joe out of the home. “I never could find anything,” says Theresa. There were times when Theresa says she felt very discouraged. It seemed like it was a hopeless situation and there was no way she would ever be able to get Marry Joe out of that house. She remembers one time, when she was feeling particularly discouraged, that Bro. Dorian Myers came through evangelizing and preached a message that strengthened her faith. She can’t remember his exact wording. The message was basically about how sometimes when we are waiting on God, everything will seem to be going wrong, contrary to what we hope for and want to see happen. As a result of these circumstances, we think, “Oh, it’s just not working out. Therefore, it must not be God’s will,” before realizing it really is God’s will. We just need to keep holding on and believing God’s promise. Theresa says that was exactly the way she had been feeling about Marry Joe. Nothing was happening. Nothing was working out; therefore, it must not be God’s will, and she should just give up. However, after hearing that message her faith was rebuilt and she knew she had to keep fighting. She says that she knew God was going to do something to get Marry Joe out of that house, but she just didn’t know what. One summer day while on a family vacation in California, Theresa got a phone call. It was from the oldest adopted son in the foster home where Theresa worked and Marry Joe lived. He told Theresa that his family was moving out of the country and that his mom was going to let her take Marry Joe. He told Theresa that he couldn’t tell her why they were moving and that he wasn’t supposed to be telling her this news, but his mom was going to tell her when she got back from the trip. Theresa was shocked, but sure enough, when she got home from vacation, the mom talked to her about taking in Marry Joe as a foster child. Apparently, the reason for the sudden move was that the father was being accused by a previous foster daughter of many different forms of abuse while she had been in the house. The foster parents denied these accusations, but for whatever reason, still felt the need to move out of the country. This was in May of 2007. It was almost another year before Theresa would actually get Marry Joe. After the foster mom talked to Theresa, it was a continuous changing of her mind, back and forth, up and down. One day they were moving out of the country, and the next week they weren’t. The next time Theresa would go over there they were once again moving and she would be getting Marry Joe; the next time she came they said they were going to adopt Marry Joe and take her with them. Theresa’s heart just about died in fear that they really would adopt her; however, the birthparents absolutely refused to sign the papers to severe their rights and allow their child to leave the country. They felt like they would never be able to see her again if she moved out of the country, or even out of the state. During this back and forth time of waiting and uncertainty, Theresa began talking with the birthparents about Marry Joe coming to live with her. Even though it was their greatest desire for Marry Joe to come back to live with them, they liked the idea of Marry Joe living with Theresa. The birth father confessed to Theresa that he actually had a Pentecostal background and was familiar with what she believed. He also told her that he had been praying to God, and if he couldn’t get Marry Joe back, his desire was that she would be able to live in a Christian home. On May 16th, 2008, Theresa’s prayers were answered and Marry Joe Mesa finally moved in! There were some bumps as everyone began to adjust to the changes and newfound roles in each other’s lives. However, for the most part, everything went very smoothly. Marry Joe immediately began to blossom and flourish as she was loved. She began to learn how to use her imagination and play- to laugh, to giggle, to just be a kid. 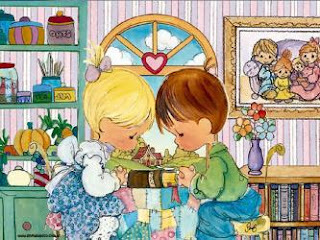 She turned into a little chatterbox, and at times, would just talk and talk and talk. Often her bossy, take-charge, mothering personality would get her into trouble. The mothering was soon put into full force with all of her baby dolls. Theresa remembers feeling such a happiness at seeing the once stoic, non-emotional little girl, skipping and giggling. It was like this little bubbly personality had been released from its prison. Theresa said when she finally got Marry Joe living with her through foster care she felt happy; however, she just didn’t feel like things were complete between she and Marry Joe. Having her as a foster child was good, but it wasn’t a without-a-doubt ‘total and complete permanency’. “I knew I still wanted to adopt her,” says Theresa. “I wanted us to have the same last name.” More than anything else, she says that they belonged together and she wanted to know that they would belong to each other forever. The very thought of losing Marry Joe made her sick. She said there were times she was so worried about Marry Joe leaving for re-unification with her birthparents or being placed into another foster home, she would get stomach aches. “I knew I had to adopt her,” says Theresa. The first time Theresa approached Marry Joe’s birthparents about the subject of adoption she got a resounding, “No.” Marry Joe’s birthfather was very adamant about not signing away his rights as her father. He said that even though he was happy with her being placed with Theresa instead of the previous foster home, his goal was to somehow learn the diet and get Marry Joe back with him and her birthmother. Theresa, devastated at his response to her heartfelt request, immediately started crying. Despite the tears, the birthfather was firm. He would never sign away his rights to his child. Theresa wasn’t sure what to do next. She didn’t want to fight dirty towards the birthparents and prove that by not following the diet they had indeed caused damage to Marry Joe and her learning abilities. She decided to wait a while and see what would happen over time. Even though there was no doubt in Marry Joe’s mind who she considered her mother to be, she was bothered that she didn’t have the same last name as everyone else in her Ginty foster family. Her cousin, Grandma and Grandpa, aunts, and uncles all had the same last name, but hers was different. “I want to be a Ginty, too!” she would say. Theresa felt like since it was starting to be a noticeable difference to Marry Joe, it was time to approach the birthparents again about adoption. During the year or so that Theresa had gotten Marry Joe, the birthparents had moved several times. The birthfather had lost his job and they were continually moving from one homeless shelter to the next. The birthfather was also struggling with some extreme health issues. In the midst of this, unbearable news came to Theresa. The caseworker said that they were going to change Marry Joe’s case plan from ‘long-term adoption’ to ‘reunification with the birthparents’. When Theresa heard this news she was absolutely devastated. Even though everyone tried to reassure Theresa that it would never actually happen, and that this was just another step towards adopting Marry Joe, she was still horrified. The caseworker explained to her that this process had to be followed; the birth parents would have to be tested again to see if they had somehow learned to care for Marry Joe’s health needs. He said that more than likely they would not be able to learn the diet and this would just make it so that the State could finally severe the birthparents’ rights, and Theresa would be able to adopt. Still, Theresa wondered, what if some way, somehow they had learned the diet? What if Marry Joe went back to them? She said that she couldn’t even bear the thought of losing Marry Joe. Marry Joe was her whole world! Theresa says she honestly thought that if she lost Marry Joe, she would not have been able to make it through it emotionally. She would lay awake for hours at night worrying about what was going to happen next. During this time, Bishop Abbott, the senior pastor of Landmark Pentecostal Church, the church Theresa and Marry Joe attend, came back into town from evangelizing. While he was in town, he preached an encouraging message about miracles. Theresa says that after his message, her faith began to be lifted and she once again saw a glimmer of hope. The next week, Theresa, Marry Joe, and the rest of the Ginty family headed to Fresno, California, to attend West Coast Conference, hosted by Bro. Vaughn Morton. A lot of good preaching went forth, but it was on the second day, during the night service that Theresa really got what she needed from God- a message on faith and miracles, preached by Bro. Gary Howard. Bro. Howard kept emphasizing that God was able to answer prayer, and not only was He able to answer it, He WANTED to answer it! She said the one thing that really stood out to her was that he said you needed to just “pray it, and believe it, and claim it!” At altar call, Bro. Howard had all the different ministers come off the platform and line up across the front of the building. He then told each one that had a need in their life to come up for prayer. He said he didn’t care how big or how little the need was, come up believing in faith that God was going to answer that prayer. Theresa got Marry Joe and brought the two of them up there to get prayer for their miracle. Theresa said she left the conference with her heart lifted. She felt like Bro. Howard’s message had been specifically for her. She knew that God was going to answer her prayer. She knew that some way, somehow, it was going to happen- she was going to adopt Marry Joe. When she got back home, Theresa decided to try a different approach with the birthparents. She asked them if they would let her have legal guardianship of Marry Joe until she was 18. Due to his extremely bad health and a fear of what would happen in the future, he agreed that he would let Marry Joe be taken out of foster care and allow Theresa to have legal guardianship of her. Theresa was very excited about this news. She said that even though it wasn’t actual adoption, the only thing that really mattered to her was knowing that she would have Marry Joe forever. However, when Theresa told Marry Joe’s foster care agency social worker that the parents had agreed to give her legal guardianship, the social worker said she did not feel like that was the best thing for Marry Joe. She reminded Theresa that having guardianship of her would not fully give her the forever permanency that she was wanting and that Marry Joe still would not have her last name. She pushed Theresa to keep trying for adoption. She felt that if things were worded and presented the right way to the birthparents that they would agree to give up their rights without it getting ugly. It was planned that the next time the birthparents came over for a visit, there would also be a meeting with them to once again talk about the possibility of adoption. Attending the meeting were Theresa, the birthparents, the social worker, and Marry Joe’s caseworker. Marry Joe’s caseworker was a Hispanic man, slightly older than the birthfather. The caseworker encouraged the father, and let him know that he was a good person. He emphasized that as Marry Joe’s father, through adoption, he was providing a guaranteed way for her to always be cared for. Theresa said that because of the way it was presented to the birthfather, and because it was presented by a slightly older male of the same ethnicity, that he was in agreement this time to the adoption. Theresa says that he was very emotional and choked up. He just kept nodding his head and saying, “Okay, okay, okay.” The social worker then spoke up, asking for clarification of the father’s words. “So, you’re agreeing to let Theresa adopt Marry Joe?” asked the social worker. All the birthfather said was a simple, but clear, “Yes.” Theresa said when she heard him say that one word she felt so excited! Yet, at the same time, it just didn’t seem real. That meeting took place at the end of November 2011. At the beginning of January 2011, a court hearing was scheduled for the birthparents to sign over their rights. At the hearing, the judge was very harsh in his wording to the father as he blatantly said, “Do you realize that you will no longer be Marry Joe’s father?” Everything had been going smoothly, but as soon as the judge said those words, the birthfather just broke down crying, stuttering, and saying that he thought he would still be her father. The courtroom was in an uproar and the judge abruptly said that he did not feel like the father was ready for this. The hearing was adjourned and rescheduled for a month later. Theresa said that she once again felt scared. However, as soon as they got outside of the courthouse, Marry Joe’s birthfather came over to Theresa and said not to worry about it. He had given his word and he was still going to go through with what they had talked about regarding the adoption. Theresa also clarified with him that no matter what anyone said he would always be her biological father. She said there were no papers that could ever take that away. He said that he understood this and just had been so taken aback with the way the judge had stated it. A month later in February of 2011, there was another court hearing and this time everything went smoothly. Without a fight and without things getting ugly, the birthparents willingly signed away their rights allowing Theresa to begin the adoption process. There was now a lot of legal paperwork that had to be filed. Marry Joe was assigned an adoption caseworker, another home study had to be done, Theresa’s adoption license needed to be renewed, and the list of legal things went on and on. Finally, the adoption date was set for November 19th, 20ll, which was also National Adoption Day. The morning of the adoption, Theresa woke up feeling very excited. She says that every other time she was going to the courthouse she felt very nervous, but not on this morning. She says that she felt very calm and had absolute peace about the day. “I knew that it was really going to happen,” she says. Theresa and her family were some of the first to arrive at the courthouse. There were over 300 Arizona adoptions that would be taking place throughout the day. 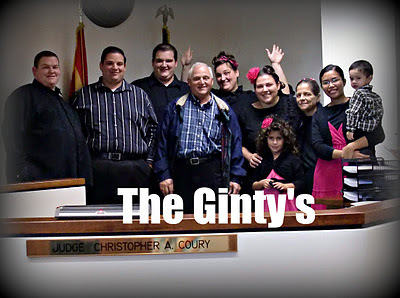 The courtroom was filled with lots of joyous chatter, laughter, and excitement as the Ginty family waited for the judge to arrive. Theresa says that when she heard those words she was surprised. She had not expected him to say it that way. It made her feel so happy. “I now pronounce you mother and daughter.” It sounded so final, so complete, so forever. As soon as the judge made his pronouncement, the courthouse erupted in clapping. Theresa’s mother, who was now MaryJo’s Grandma, pulled out a noisemaker and started clacking it right there in the courthouse. Theresa’s sister, MaryJo’s Aunt Mary, stood up screaming and cheering. She was so loud that MaryJo felt the need to cover her ears and stick out her tongue at her aunt’s crazy antics. There were a few happy tears, lots of smiles, lots of hugs and hundreds of pictures being snapped. The Ginty family had a new member that would belong to them forever. It was time to celebrate! Theresa says that when the judge pronounced her and MaryJo as mother and daughter, she didn’t feel like anything had really changed between them. “I was already her mom!” says Theresa. But what made it feel so special was hearing it said out loud by a judge. She says she knew that it was binding, on paper, and official- whenever and wherever they went. Through her triumphs and failures, MaryJo and Theresa would be bound forever to each other. MaryJo says her favorite thing about her mom is that she knows she loves her. She says that her mom is very pretty. “Because she looks just like me!” she explains confidently. The resemblance between Theresa and MaryJo is astounding. They have the same hair, eye, and skin coloring, but more than just that, even the shape of their faces is the same. They both have brown eyes- big, dark brown eyes. MaryJo likes to describe herself and her mom as the ‘Caramel Girls’. She looks more like Theresa than her birthmother, and Theresa looks more like MaryJo than she does her own sister. God really did know what He was doing and designed them specifically for each other. People will say to Theresa, “Your little girl is so cute, and she looks just like you.” When Theresa explains to them that she is adopted and there is absolutely no blood relation, they are astounded. “Oh, OK. So that’s how you got be so pretty,” said Mary with her typical response back to Marry Joe. Then she decided to ask her another question. The van grew silent for a moment at MaryJo’s response. Some women spend their entire lives searching for beauty, trying to buy beauty, trying to create beauty, and trying to make themselves beautiful. Due to the circumstances of her life, Marry Joe discovered the secret to beauty at six-years-old. Theresa says she knows that by loving MaryJo, she was able to make her happy. However, she says that she feels the same way about MaryJo. Before MaryJo came to live with her, she always felt like she never really fit in anywhere. “I didn’t feel like I fit in with the youth anymore, and I didn’t fit in with the married couples.” When Marry Joe came into her life, the two of them just fit together perfectly. “I always felt like I was just sort of floating around aimlessly,” says Theresa. “But with MaryJo in my life, I feel like I have a purpose.” She feels like they were two missing pieces in each other’s lives, and God made them to fit together so perfectly. Theresa says that she agreed to an open adoption with the birthparents, allowing them visits and pictures together. She knows that now that she has adopted MaryJo she could cut them out completely, but she says that she would never do that to them. “They gave me MaryJo,” she says, “and for that I will be forever grateful!” Theresa feels that God really used the birthfather’s sickness to soften his heart, because since that time, his health has rapidly improved and, since the adoption, God has blessed them financially. “This is my happy home,” said Marry Joe firmly. The first five and a half years of MaryJo’s life were spent in a mad home, where she says she always felt scared and sad, with no one to care for her, no one to wipe away her tears, no one to hug or kiss her, no one to love her; she was all alone. Then one day, using a single young lady, God stepped in and God gave MaryJo a home of her own. This home wasn’t the biggest and best house that could ever be found. It wasn’t filled with the best of everything; it didn’t have the latest electronics and gadgets. It may have needed a few repairs, but MaryJo didn’t mind at all. Yes, I Mary, am the author of this story, the aunt of Mary Jo and sister of Theresa, written in 3rd person! A smile is the prettiest thing you can wear!!! Awww...man- I don't think I fully understood love till I started loving these kids!!! “I’ll warrant you’ll make plenty in it,” said Marilla. 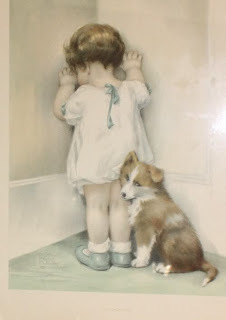 “I never saw your beat for making mistakes, Anne.” . Me and Dan the Man! Can't say we don't fight...but I sure do luv her!!! BUT in AZ ya gotta make your own rain!